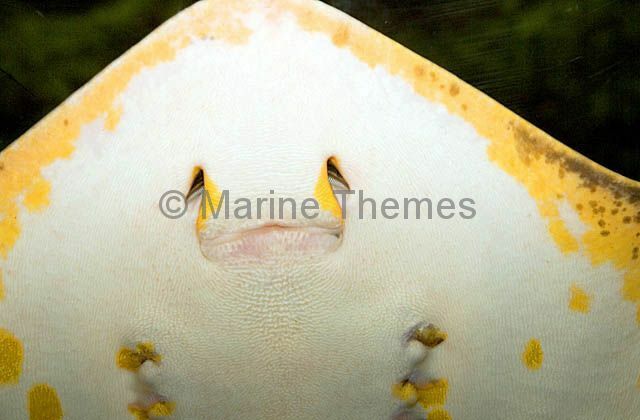 Red Stingray (Dasyatis akejei) Detail of mouth and gills. 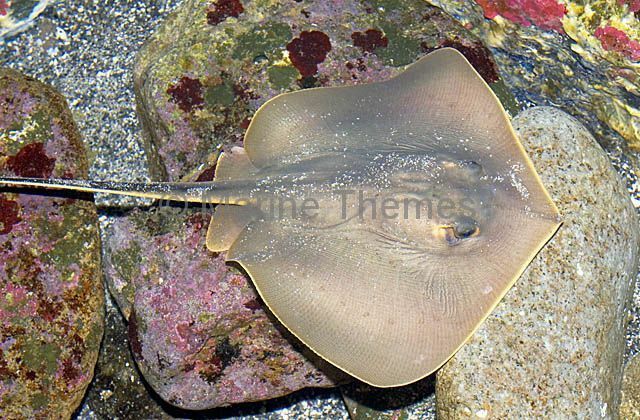 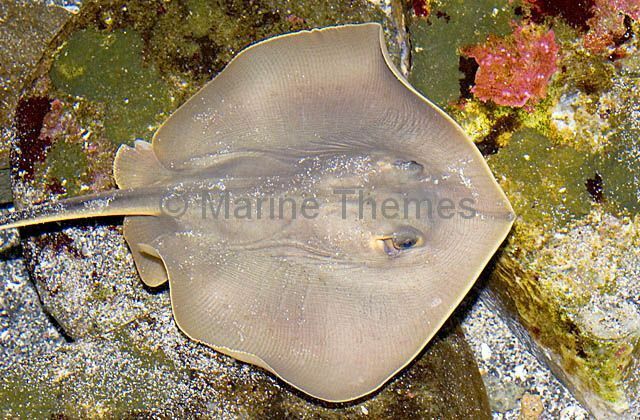 Red Stingray (Dasyatis akajei) swimming over rocky reef. 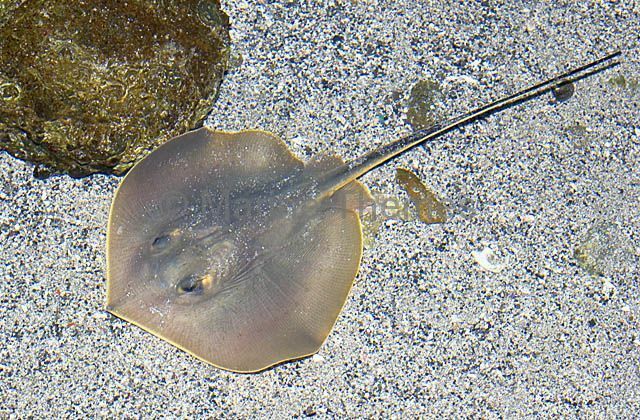 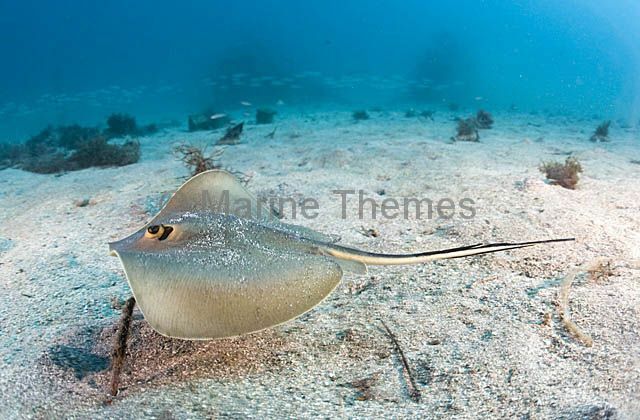 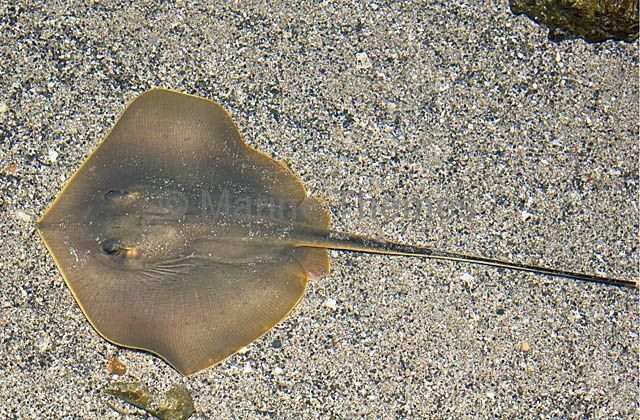 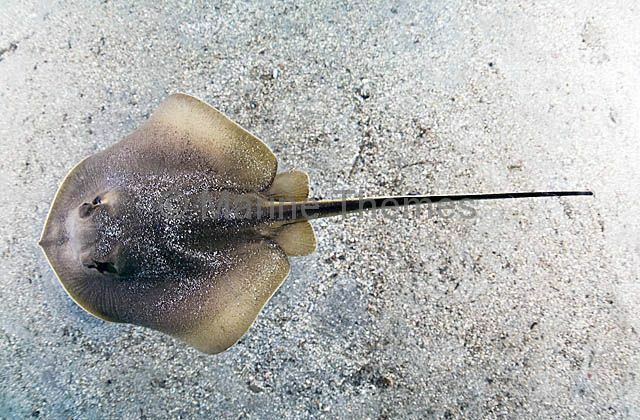 Red Stingray (Dasyatis akajei) swimming above sandy sea bed. 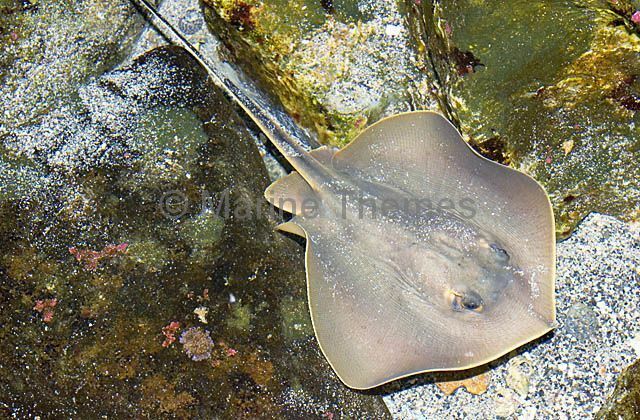 Red Stingray (Dasyatis akajei) Dorsal view of adult swimming above sandy sea bed.